Fabbri G, Mancini R, Marinelli V, Ban G. – Eur J Esthet Dent. 2011 Spring;6(1):76-86. The most common esthetic challenge associated with endodontics is the discoloration of natural tooth structure. Also in fixed prosthesis, discolorations represent an esthetic limit, particularly in the case of all-ceramic restorations. In fact, the final esthetic result can be compromised by the grey radiated through the coping and soft tissue. 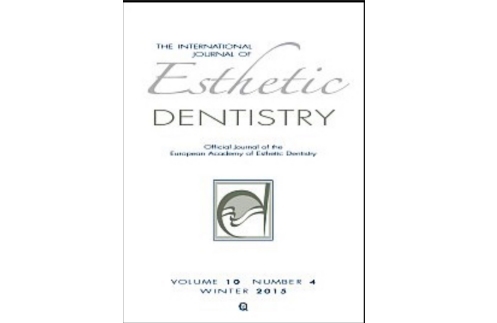 PURPOSE: The aim of the study was to evaluate the masking ability of Procera alumina restorations. MATERIALS AND METHODS: Clinical evaluation was investigated by using tests of discolored teeth. Each abutment, classified with Natural Die Material (Ivoclar Vivadent), were manufactured three alumina copings with thickness of 0.4, 0.6, and 0.8 mm, respectively. Masking ability for each coping was evaluated in relation to the degree of discoloration. On the basis of the results obtained, seventeen discolored teeth, treated with Procera alumina restorations, were evaluated. Color match, porcelain surface, marginal discoloration, and marginal integrity were clinically examined following modified CDA/Ryge criteria. CONCLUSION: The Procera AllCeram alumina system seems to be a reliable and excellent technology for the prosthetic treatment of moderate and serious discolored anterior teeth with an exceptionally natural look.